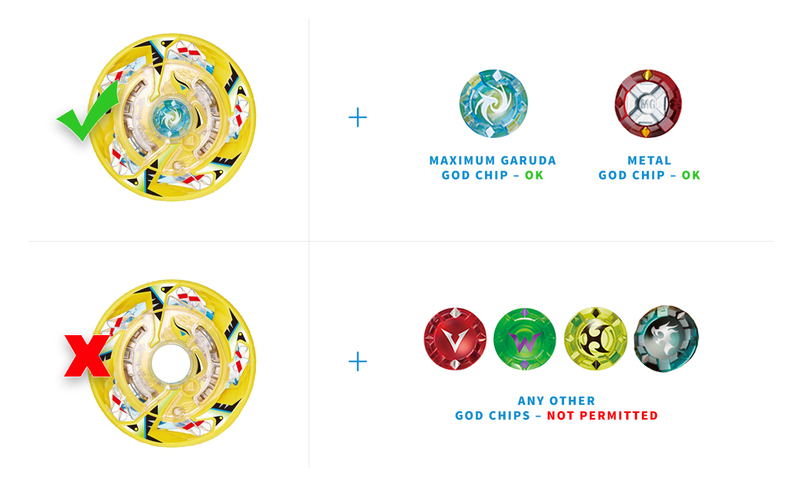 Effective immediately, the Maximum Garuda Layer in Beyblade Burst cannot be used with any other God Chip except for the default God Chip that comes with stock mG–Maximum Garuda.8F.Fl from B-87–or the soon to be released B-91 Metal God Chip. It was recently announced by TAKARA-TOMY that they would be implementing this same change after the discovery of a particular mold of God Chip fitting much, much tighter with other parts than other molds. You can read more about the different molds of God Chips here. It is now officially illegal to disassemble all Beyblade Burst Layers or swap components between them. This means that you may not, for example, take the clear ‘over Layer’ from one Layer such as Victory Valkyrie and swap it with one from another Layer. 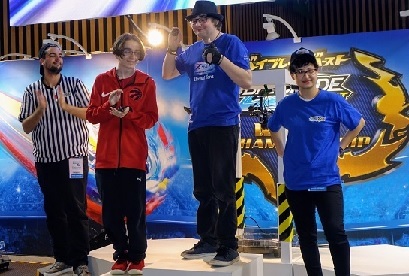 Like Deck Format, players are now required to present both their Beyblade and Launcher to their opponent before the first round of every match. 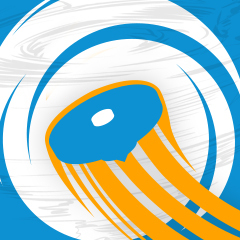 Beyblades (with mode changes that do not require disassembly) and Launchers with multiple spin directions available may be changed after the presentation phase. Players do not need to present their Beyblade or launcher prior to subsequent rounds in the same match. This almost goes without saying, but we have added additional clarification to the Organizers’ Guide for judges regarding neutrality. All WBO Organized Play judges are expected to exert a neutral, unbiased stance for everything that may occur during any given match. Give any advice to either player as it pertains to the battle itself. Some examples of this include combo selection advice or telling one player to “weak launch” to have a better chance of winning. Give technical equipment-related advice to players. 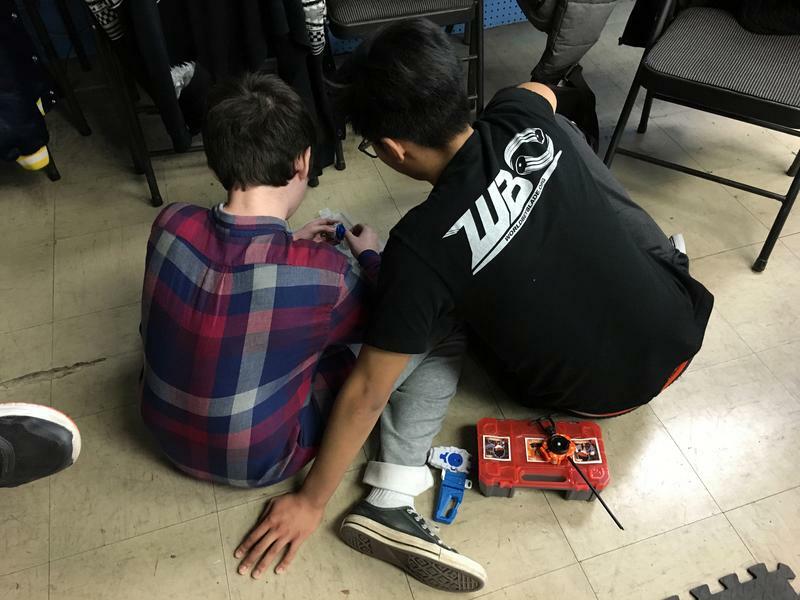 Some examples of this include an observation that something may be broken with their launcher, if their Beyblade is not properly attached prior to the beginning of a round, and so forth. ’Kei’ Wrote: The first one–which is relevant to all WBO Organizers–was the seeding in this event. While random seeding is permitted in tournaments with less than 17 players, it is mandatory for events above that. While there is unfortunately some room for interpretation currently as the BeyPoint System Queue is not up to date yet, we expect Organizers to make smart decisions about where certain players are seeded; the most obvious and clear cut being that returning players should not be given the bottom seed in an event ahead of new players. If a player drops from an event before completing all of their matches in a Round Robin-based event, they will be given "losses" for every match both played and unplayed. What this means is that the matches the dropped player has played will be counted for the WBO Rankings, but will all be considered "losses" within the context of the event. If someone wins four matches in an eight-player round robin and drops, they'll get the four wins (for the matches played) and three losses (for the matches missed) within the WBO Rankings, but will receive seven losses within the context of the tournament. This will ensure that the flow of the tournament is not disrupted in any way; players who lost to the player that dropped won't be at a disadvantage compared to the players who didn't and get free wins as a result. If a player drops from a Swiss tournament, they will retain their wins but receive match losses for the remainder of the tournament. Players who drop from a Swiss event will not be eligible for additional Credits beyond the +1 Participation Credit due to the greater inconvenience it places on the tournament organizer and all participants in comparison to other formats. However for all formats, if a player stays to complete their round robin/swiss round matches and makes the finals, they will only be given losses for their battles in the finals. To help avoid the possibility of participants dropping from your event, we encourage all Organziers to announce the estimated length of the tournament before it begins. The minimum required number of confirmed participants for members planning to schedule an event and become an Organizer is now 4. However, anybody proposing an event with less than 8 participants (the threshold where your event becomes eligible for ranked status, prize reimbursement, etc), must be doing so with the intention of trying to gather more participants and to grow their community. Submit Social Media Content, Help Your Community Grow! 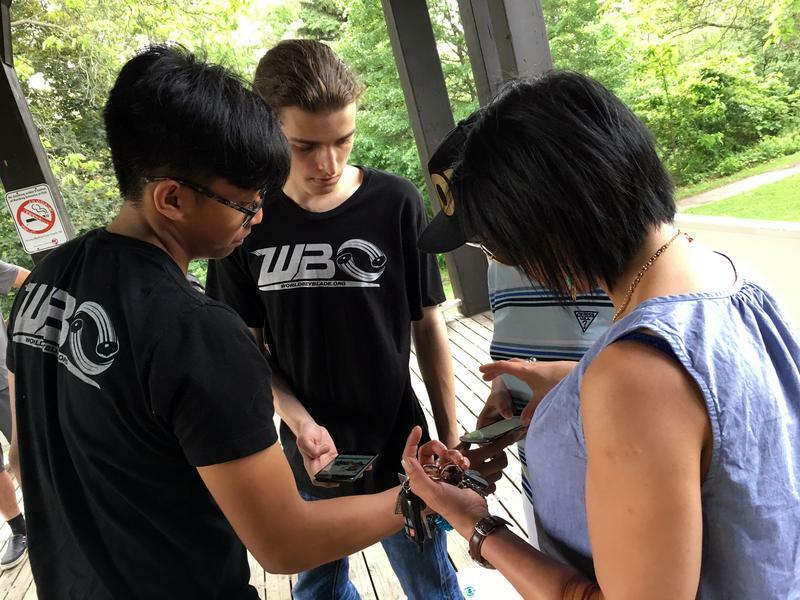 We understand that the best way to get your event noticed is to have it posted in our official WBO Beyblade Tournaments forum, and hope that this change will allow for more communities to host events and grow. To allow us to help you do this, remember that all Club Format events are required to submit a group photo. This photo, along with any other photos or video you can submit to us to post on our social media are one way we can help promote your community after each of your events. This also applies to all Organizers in general, regardless of the size of your event! It was necessary. mG is totally broken with the A# Mold God Chip. And haha, remember you can still give advice if you're a spectator, but not as a judge! What is the ruling if someone has a Maximum Garuda that happens to have a really tight God Chip stock, or has a Metal God Chip that fits tightly in their mG Layer? Would this just turn into another orange F230 scenario, just with tightness of God Chips instead of degree of free spin? And while I understand that seeding players incorrectly is an issue, I wouldn't say high-level players seeded near the bottom would necessarily have an easier path... they would be matched up against the other high-level, top seeded players right away (which still isn't really fair to either party). The clarification about dropped participants is definitely appreciated, though. The new rules are great but why is disassembling or swapping Layer components illegal. Does it change the performance? (Aug. 12, 2017 10:48 AM)TL14 Wrote: The new rules are great but why is disassembling or swapping Layer components illegal. Does it change the performance? (Aug. 12, 2017 6:28 AM)Wombat Wrote: What is the ruling if someone has a Maximum Garuda that happens to have a really tight God Chip stock, or has a Metal God Chip that fits tightly in their mG Layer? Would this just turn into another orange F230 scenario, just with tightness of God Chips instead of degree of free spin? I don't think this is a possibility. We assumed that if TAKARA-TOMY has made the ruling like this, the A# Mold of God Chip must not exist with any mG or Metal God Chips. There's a lot of variables here, but for example you can see that by Round 2 I was–justifiably so–playing opponents seeded within the Top 10 by Round 2 and Top 5 by Round 3, while players like SUGOI-KONICHEWA and Drose (who have played in events before and were seeded at the bottom) were playing lower seeds for most of the event and were given the benefit of a bye in one round. This gave them less matches overall and lowers their Bucholz severely ultimately, but it didn't matter because in order to be fair to participants that this happens to, the +1.0 point for the Bye needs to be given, which was enough to keep them in the Top 8. Normally this doesn't really matter since low seeds don't typically make the finals (which is why they are the players Challonge gives Byes to), but it happened here because those two players should have actually been seeded around the #10 spot instead since they were more experienced and had played in events before. If they were actually lower seeds, it would have been fair, but because they were not, it gave them an advantage and created disadvantage for everyone else in the tournament. It does bring us more in line with TAKARA-TOMY's ruling, which we like to try and follow where possible. My thinking on this was that you could conceivably create a more balanced/stronger version of a part by swapping Layer components, making it unfair to those who can't do it and would otherwise have to spend money on multiple full parts in order to try and find the best one possible. The goal here was to make the playing field for everyone as level as possible; we want to try and avoid adding rules that allow for people to take apart things like this (ie. requiring tools to do so) and make improvements to them. You might be thinking, "but we do allow for launcher components to be swapped", however that is only as an effort to ensure people have launchers which function as normal (because they break relatively often especially in Burst); not necessarily better than normal (this might be a reason I am also potentially against the lubricant issue which was left out of this update because I think it requires more discussion). So, I think there is a distinction there. In any case, this was admittedly a bit of a contentious issue internally and we might revisit it later. However, the rule stands for now. Happy to hear more opinions on this from everyone. (Aug. 12, 2017 6:27 PM)Kei Wrote: I don't think this is a possibility. We assumed that if TAKARA-TOMY has made the ruling like this, the A# Mold of God Chip must not exist with any mG or Metal God Chips. Well, if it is, I'm sure we will find out eventually and respond accordingly. For now, I'm going to trust that TT knows there are no tightly fitting A# mG God Chips or Metal God Chips. There's no way they would introduce this rule if this wasn't the case in my mind; if it was a possibility they would have introduced a more complicated rule for checking the God Chips. Ok so I know modes that require disassembly are illegal to change but I've noticed that aC sometimes has its "bar" shifted when in battle. If found then would you be able to ask for a sort of rematch? Kei Thank you for your reply. It's great that the WBO makes rules so that everything is far for all Bladers. I completely agree with that. But how do we know if swapping layer components alters the performance? I know that Leo Burst did this mod for one of his videos. Maybe he can test it. (Aug. 12, 2017 7:49 PM)Mage Wrote: Ok so I know modes that require disassembly are illegal to change but I've noticed that aC sometimes has its "bar" shifted when in battle. Modes that require disassembly are indeed illegal to change within the same match. In your specific case I would say that you would be permitted to fix it back into the original position, but not ask for a rematch. We can't control what happens with specific parts mid-battle, and that is a risk you take in using parts that change modes. Another example would be if your Trans Driver switches from the sharp tip to flat mid-battle because of the way it was hit or touched the stadium; that is simply a risk you take in choosing that part. (Aug. 12, 2017 8:05 PM)TL14 Wrote: @[Kei] Thank you for your reply. It's great that the WBO makes rules so that everything is far for all Bladers. I completely agree with that. But how do we know if swapping layer components alters the performance? I know that Leo Burst did this mod for one of his videos. Maybe he can test it. All parts in Beyblade Burst are not manufactured to be 100% identical. Even though they use the same molds, there is inherently variances in the manufacturing process that can alter how well or balanced a particular part is. Being able to switch Layer components would make it easier to craft the "ultimate" version of a part, but it also requires tools, which isn't something we want to start allowing for things like this as it creates an environment where this sort of modification becomes expected from all players who want to do well. 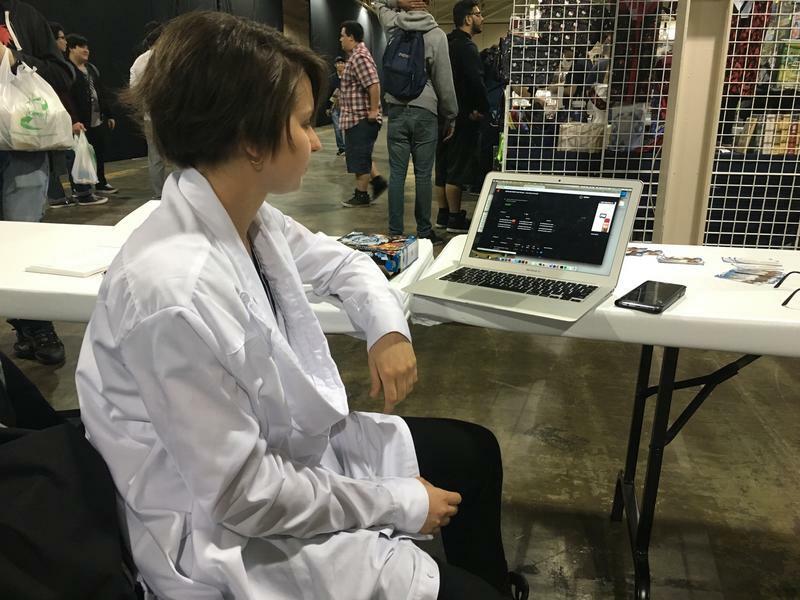 It adds another barrier to entry in the competitive scene, which we certainly don't need for a hobby already mostly predicated on the importing of products from Japan. Thank you Kei for explaining. Ok so I know these rules just came out but I would like to propose a new rule to add. Last tournament in Toronto, Kei was using mG and Newtype used lS. lS basically KOed mG but mG just bounced straight back into the stadium since it was too big to exit, now this only use happened with huge hits in burst but this hit was very minor and super easy to tell that mG was indeed supposed to stay in that stadium out area. So I think a rule should be added where if a bey touches the back wall of the knock out area and bounces back in it should count as a knock out. It's really not hard to keep track of such things so I really don't want to hear an excuse where "oh it's gonna make judging too complicated" it's really not hard to see if a bey bounces off that wall lol. Adding this rule would also make the burst stadium more viable for other formats such as MFB where big hits happen often and cause beys to bounce back in. Personally I see this having huge positive outcomes of KOs being more common and make attack users less salty when this incident happens to their attack type, and this will only take a bit more effort in the judging process. (Aug. 14, 2017 9:35 PM)1234beyblade Wrote: Ok so I know these rules just came out but I would like to propose a new rule to add. 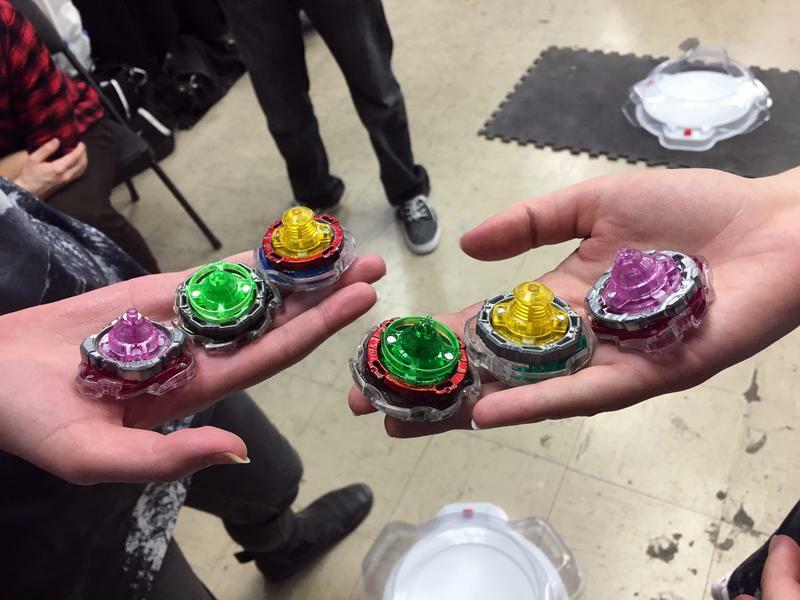 · When is a Beyblade considered knocked-out? 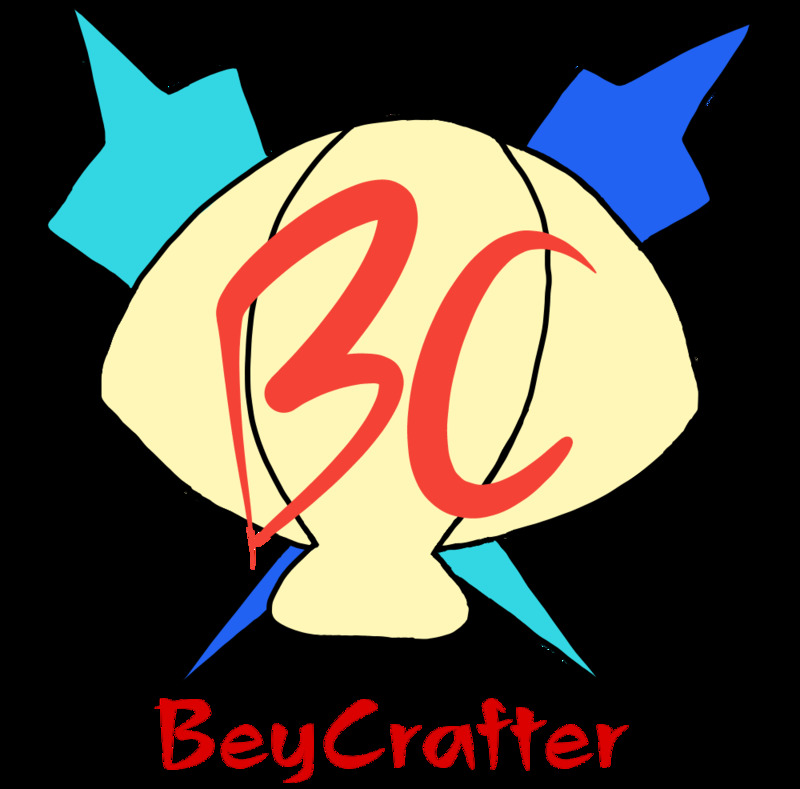 · A Beyblade exits the play area, but is still sitting on the edge of the BeyStadium. stadium, otherwise it is deemed out of play. 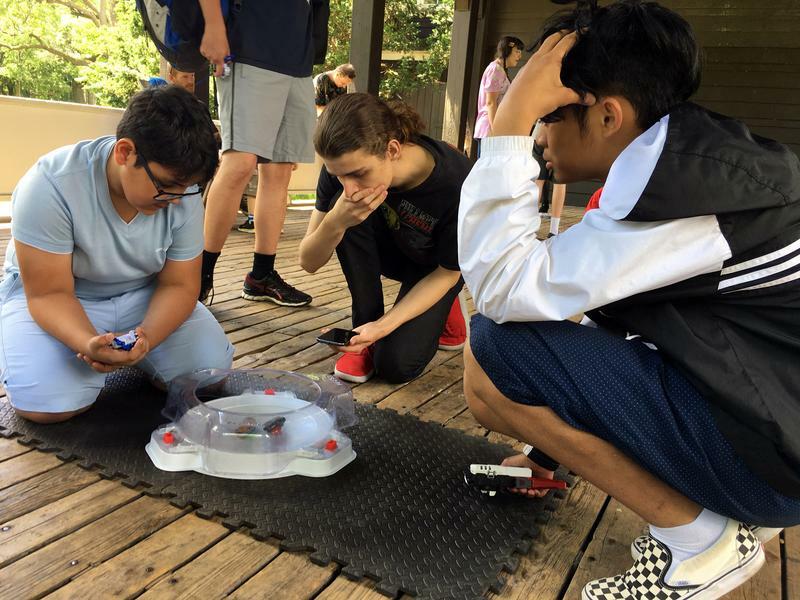 · A Beyblade returns to the BeyStadium after being knocked out of play. hmm, I think we based the bounce back in off the walls like ZRG kinda, where it goes into the pocket but comes back in immediately. In the BB-10 the KO is obviously very clear and I think we just pushed off that first rule you mentioned to be BB-10 only. So basically once the driver leaves that second ridge into the pocket from the Standard Type Beystadium it's a KO regardless if it's a big hit with a lot of speed that causes it to bounce back into play immediately? "It must therefore immediately bounce back into the stadium, otherwise it is deemed out of play"
That kinda covers this entire situation honestly. mG fits in the pockets fine and, in most cases, being knocked in there causes a Burst for it so it's not recoverable anyway. If it manages to survive and pop back in, let it continue, the RNG gods have favoured you this day. It's just a factor of unpredictability in the gameplay and, if you take more of the unpredictability away, I'd argue that some of the excitement is also being lost. However, it does incentivise attack more to just call it a KO, so it's a win-win either way for me. I'll support whatever the community feels is most fair in this situation, haha. Any idea how TT handles this as well? ok this is kinda important, i just found that press makes mG super tight, even tighter than A mold god chips do, it's literally like putting TT drivers on Hasbro layers this time. Just want to add this has the same effect on gK, it no longer makes it burstable with Press. I just tried this with my mG and three Press Drivers (two from K2, one from Q2) and didn't observe any difference in the tightness. Can some other people try this with their parts? edit: I was talking to 1234beblade and the tightness is the same with both of his Platinum Press and Q2 Press Drivers. I tried other press' and they were normal, I can't really notice anything different between the tight and normal press' they seem exactly the same. I tried this a few weeks back when I saw a Team Five Star video about it. I tried 3 different press drivers (K2, Q2 & Platina) and they all had the same tightness for me.